Good old Robert Bloch probably tossed off this Cthulhu Mythos novel in a couple days, hearkening back to the speedy first draft penny-a-word pulp days of his youth. Published by Pinnacle Books in 1979 with a bizarre monkey-headed (!) 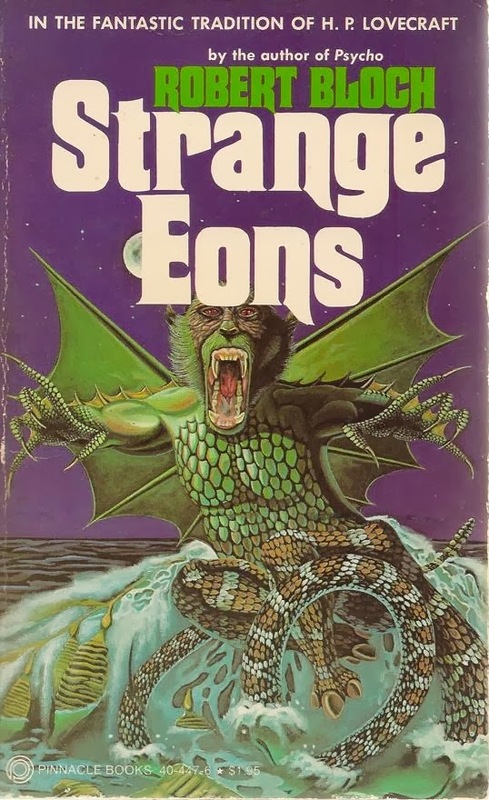 creature adorning its cover (by Dan Hada), Strange Eons relies solely on the reader's familiarity with Lovecraft's fiction, and so I recommend it for HPL/Bloch completists only. 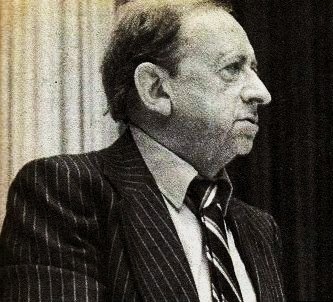 Much of the novel is Bloch simply rewriting various Lovecraft passages, and the parts that aren't are much like a third-rate Raymond Chandler murder mystery. Mixed in with all that is a desultory hodge-podge of '70s cultural touchstones like political upheavals, assassinations, and charismatic cult leaders along with "In Search of..." BS like the Bermuda Triangle, UFO sightings, and pyramidology in the middle third of the story. Ugh. Bloch makes his anemic puns and wooden dialogue (my god there is even a "lie back and enjoy it" "joke"!) comes from every character's mouth. Sure, Strange Eons passed the time agreeably enough while I was on vacay in Mexico, lazing beneath a blazing sun, but I read it mostly on autopilot - how many times do I need to imagine cyclopean towers, silent sullen seas, endless vistas of time, dark men in hooded robes, mind-blasting cosmic fear, unimaginable horrors, green ichor and piping flutes, etc, etc? 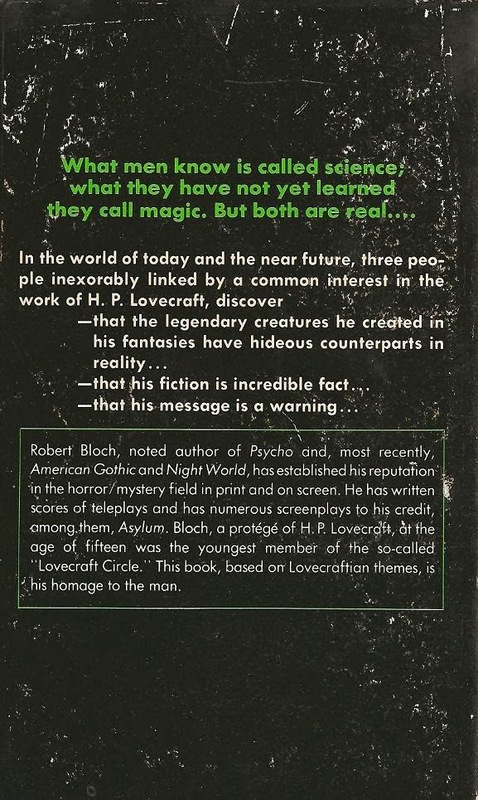 I guess back in '79, before Lovecraft was the near-household name he is today, this kind of near-plagiarism worked much better, but today I find - outside of Lovecraft's own stories - that stuff does little to affect me any longer. I fear these knockoffs, however well-intended and affectionate and respectful, are gonna make me inured to the cosmic chill they're supposed to instill. 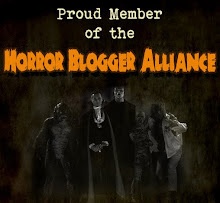 Now that is a horror I really don't want to imagine! Well, I've always loved this novel since I read the Whispers press HB when I was a teen. The illustrations in the HB are pretty great and not present in the PB. I figure this novel worked for me for mostly the same reasons that a guy like Bloch would want to sit down and do another pastiche; it's fun and it's nostalgic. To be fair though, you probably get a lot more out of the "killer kid" books than I ever will. Have you read The Colour Out of Time by Michael Shea? It's a direct sequel to The Colour Out of Space and I'd be interested in your take on it. I've always thought Shea was one of the best at giving Lovecraft pastiche. I've been trying to find a copy of Shea's book for ages! If and when I do there will definitely be a review here. Were the illustrations by Powers as well? I'm sure they were good. I had high hopes for this book, given the premise and Bloch's knowledge of Lovecraft, both the man and his fiction, but I found it very disappointing. I think something can still be done with Lovecraft's ideas, but in a world of plush Cthulhus, it will take some doing. Laird Barron is a great writer of 'cosmic horror'. Lots of hardboiled characters, like CIA agents, hitmen, 1920's loggers etc. 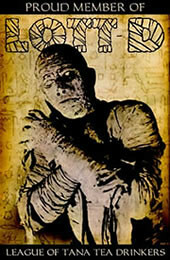 It's influenced by Lovecraft, but brought up to date - ie. no tentacles or fishmen! 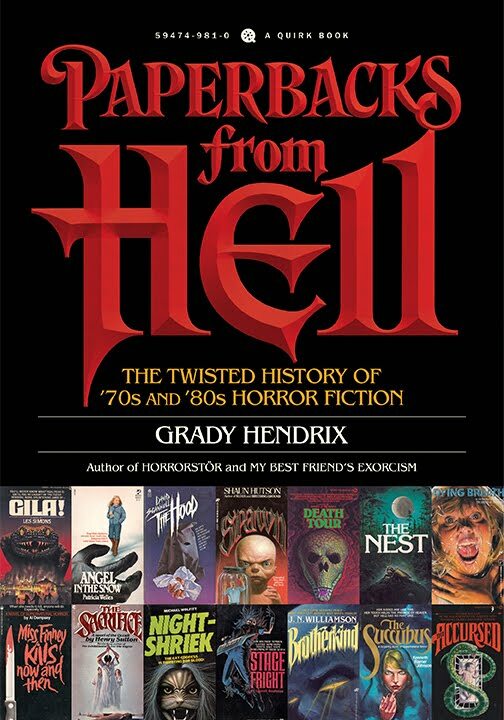 Highly recommended author, and I usually have zero interest in cosmic type horror. The Shea novel is a lot of fun -- and sadly, Shea died suddenly a couple of weeks ago. 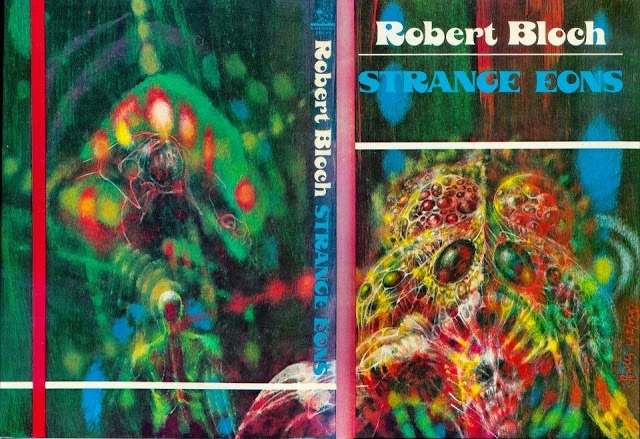 I've never been able to finish Strange Eons, though I do like several of Bloch's shorter Mythos entries, especially "Notebook found in a Deserted House," despite its stereotypical (for horror fiction) and improbable final lines. Might be an interesting experiment to sometime make a list of Lovecraft pastiches that you have enjoyed. The weird part is that I had certainly read a number of homages to his works before I had ever read a word of his own, so I guess when I finished up his notable works, it didn't faze me much to go back to those tales. Notebook Found, etc. by Bloch, as mentioned above. Children of the Kingdom AND Black Man With a Horn by TED Klein. 24 Views of Mt. Fuji, by Hokusai by Roger Zelazny. Sticks by Wagner, of course, but I'd rather just put his Darkness Weaves With Many Shades in this slot. I've always loved Discovery of the Ghooric Zone by Lupoff for its audacity. And, personally, The Crawling Sky by Lansdale hisownself. All these and plenty other worthy tales I'm forgetting certainly make a strong argument for reclaiming the tropes for those who can make compelling use of them. Though, if I'm being honest, I'll never feel as if imitation is a good thing to lean on, when there's an idea behind it and the writer is "on", they can manage to create their own new myths as well. Over the last couple weeks I've been dipping in and out of Joshi's BLACK WINGS OF CTHULHU anthology - rare for me b/c I virtually never read 21st century horror! - and two stories leapt out at me as being excellent: good old Ramsey Campbell's "The Correspondence of Cameron Thaddeus Nash," Michael Cisco's "Violence, Child of Trust." There are other good stories in there, but those two are some of the best HPLian tales I've come across. Another spectacular tale in the HPL style that might *not* count is R.H. Barlow's "The Night Ocean." I'm not sure how much HPL put into its creation; probably a fair amount since it's in the collection of his revisions, HORROR IN THE MUSEUM. I agree that the Klein, Wagner, and Bloch short stories are very good, and I'd add some of Joseph Payne Brennan's tales as well. Thing is with HPLian fiction is that there is just so damn much of it, I feel like one could read just that and never have time for anything else! I recommend Robert Bloch's collection "The King of Terrors." No Lovecraftian stories (or monster stories at all), just really good, twisty crime stories.